Have you found a perfume that is non-toxic, gentle enough for daily wear and smells heavenly? If that sounds like a tall order, I’d love to introduce you to Florescent botanical perfumes. Florescent perfumes are 100% botanical and made from certified organic and wildcrafted essential oils and absolutes that are set into a base of organic grape alcohol. I created my perfumes with an alcohol base because I craved that beautiful, feminine ritual of spritzing a dash of perfume on before leaving the house. Organic grape alcohol is so gentle and soft smelling. It dissipates quickly and allows the full complexity of a fragrance—with all its subtleties and nuances—to come through better than a perfume oil. It’s also long-lasting. 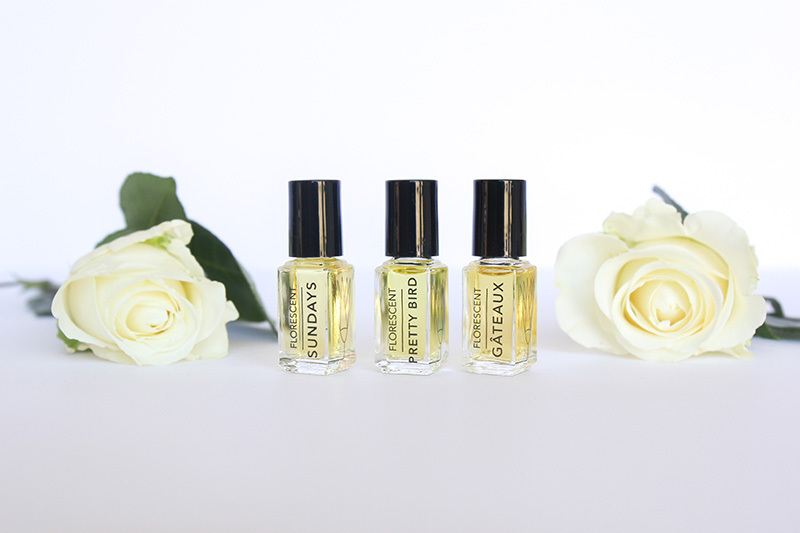 Florescent botanical perfumes are available as a spray or a roll-on, and you can order a Trial Kit to experience all three before choosing your favorite. Pretty Bird has been my personal scent for a long time now. It’s the perfume I always wanted for myself and the one I reach for the most often. It’s a bright, warm and rosy fragrance with a soft spicy/woodsy finish. The scent opens with notes of sparkling bergamot—bright and happy—and is warmed by earthy rose undertones that settle into a comforting and cozy blend of sandalwood, frankincense and clove bud absolute. It’s a little tomboyish, and I liken it to slipping on your boyfriend’s cashmere sweater, which yields the perfect combination of feminine and masculine scents. Sundays is a lush and honeyed floral with warm woody undertones. It’s balmy and rich but still gentle, and quite honestly it makes me feel a little tipsy with happiness. Jasmine has that narcotic affect on me, and Sundays is a combination of two types of Jasmine along with ginger lily, which creates a sultry, heady experience. The sense of euphoria that jasmine elicits is grounded by a little sandalwood and frankincense, which balances out the scent and gives it longevity. Unless you know that someone has an aversion to jasmine, Sundays is a true crowd-pleaser and makes a gorgeous gift. Gâteaux takes most people by surprise, and it has the biggest range of the three perfumes. This garden floral begins with an herbaceous and fresh top note. Spearmint and rose geranium lead the charge, with fizzy bursts of blood orange alongside. This gives way to a soft and powdery finish, where orange blossom and tolu balsam, among other delicious botanicals, lend an elegant and slightly sweet note that lasts most of the day. Gâteaux reminds me of garden parties and teacakes—a little prim with a healthy dash of the wild and unruly. To celebrate the launch of Florescent at Integrity Botanicals, we’re giving away the perfume of your choice to two lucky people! Just enter below to win yours. I can’t wait to try these!!! Hope I win! I need Pretty Bird in my purse. It’s my favorite smell. Can’t choose between Sundays and Pretty Bird! They both sound amazing. Definitely the one thing I’m lacking in the green beauty area is fragrance. Sundays sounds just beautiful! I love trying new scents, and holiday parties are the perfect excuse. I would love to win pretty bird. I don’t like anything too sweet. I like to think I have a bit of a tomboy side and this scent sounds perfect. I would love to the pretty bird or Sundays, both sounds really nice. I think Gâteaux sounds lovely, and I would be thrilled to try it. Thanks for the chance to win. Fragrances are still my challenges when it comes to green beauty. I haven’t find my perfect perfume yet Pretty Bird and Sundays sound lovely! 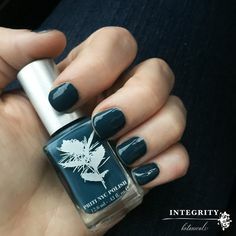 Thank you Integrity Botanicals for the wonderful giveaway Good luck everyone! Gosh, I can’t choose! I’d be happy with any of them!! They look amazing!! I love Jasmine and am excited to try Sunday! What an awesome giveaway—yay for “green” fragrance brands! I feel like finding an all-natural scent that meets/exceeds the scent of synthetic perfumes has been the most difficult thing in my transition to using all “green” beauty products. Would love to try Pretty Bird—the name alone! Awesome giveaway:) would love to tey the pretty bird one. Still looking for natural perfume that will actually last more than 30 mins on my skin:( .. Fingers crossed! I love the way these perfumes sound from their descriptions, I would love to try all three especially the Pretty Bird scent. Yay for Florescent! I really love the name and styling of the bottles. All three scents are lovely but it would have to be Pretty Bird for me! Gateaux or Sunday or maybe Pretty Bird! They all sound lovely! Excited about this giveaway! Love how the green beauty world is expanding especially in perfumes! They all sound wonderful! However, Sundays has definitely caught my eye. I would love to throw away my toxic perfume to try florescent! Sundays sounds lovely! Definitely want to try it! I love that there’s a trial kit! Pretty Bird sounds intriguing. I’d love to try Pretty Bird or Sundays! Can’t decide! Pretty Bird! I would absolutely adore that scent by reading the ingredients!! I’m on the hunt for natural perfume for my wedding next year, so I’d love to try these. Fingers crossed! Oops forgot to add, would love “Sundays” or “Gâteaux”. Wow all of these sound fabulous! I wouldn’t know which to try first. I’ll probably get the trial set! I am a perfume fiend and I have been wanting to find more all-natural fragrances. So far Satori is by far my favorite and it stays with me at all times. All of the florescent scents sound enticing, but I’d have to start with Sundays. I could use the jasmine pick-me-up! they all sound so lovely and intoxicating but i think i would be partial to sundays since i am completely enamored of anything with jasmine! Pretty Bird and Gateaux sound lovely! Would like to try an all natural perfume! I love anything with sandalwood so I’m most excited to try the Pretty Bird scent. I would love to try Sundays…I love woody scents! What an amazing giveaway! I think I would love to win Gâteaux! It sounds like it smells delicious! I tried these gorgeous scents at ANFGB and was surprised to find that the Gateaux was PERFECT on me. I expected it to be too sweet, but not so! I’d choose Gateaux for its unique unpredictability. It’s wonderful to see you supporting botanical perfume brands like Florescent. I’ve been trying an all natural deodorant which contains Gingerlily and Sandalwood; so it would be lovely to try Sundays. Pretty Bird sounds so wonderful. I’d love to have that scent wrap around me! What great news! All of the three sound amazing, but Pretty Bird seem to fit most for me. I would lobe to try! Thank you for the giveaway! Exciting perfumes, I would chose Sundays as the one because I am obsessed with jasmine! I would be thrilled to win Gateaux – a little prim with a healthy dash of the wild and unruly – love it! I would love and enjoy wearing Sundays perfume. Jasmine is my absolute favorite scent or floral essence. I would love to try Sundays, I have tried the other 2 and I just love them! I’d probably love to try Sundays the most, but they all sound fantastic! As always a lovely giveaway and a lovely product. I can’t wait to try all the scents. I think I would love Gateaux because of the blood orange and orange blossom. So hard to choose one but Pretty Bird sounds so nice! All of these sound absolutely lovely! Pretty bird has all of the qualities that I search for in a perfume. 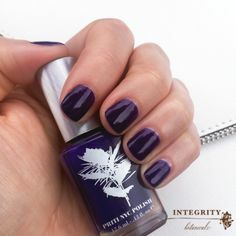 I love that combination of masculine and feminine notes! What an awesome giveaway! I’ve been trying to find the right natural perfume for awhile now & I haven’t found the one. I’d like to try Pretty Bird, although they all sound gorgeous! These sound amazing! I’ve been looking for a safe and natural perfume to try! I would love to try all of these!! I found this line after over a year of searching and I love it! I already have Pretty Bird and Sundays – I guess I need Gâteaux to fill in the trio now! Another great brand to shop for on this site! I would love to win Gateaux! That sounds great! Pretty Bird sounds exactly like the scent Ive been searchin for! I’m very excited about this brand and look forward to trying the sample kit. Both Gâteaux and Pretty Bird sound very interesting and I’d love to be able to smell them. I would like to try the the Gâteaux, that scent sounds lovely. I am so excited to try Sundays if I win! Florescent perfumes sound gorgeous and lovely! I would love to try Sundays since I’m hooked on jasmine! With the additional hints of botanical musk and creamy gardenia, Sundays sounds absolutely perfect! I’d love to win Sundays. i need more sundays in my life! I want to try them all! 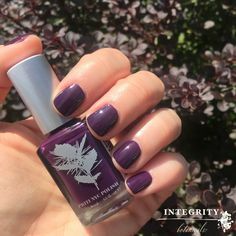 I would love to win the Pretty Bird Florescent Perfume! I’m always looking for a new perfume. Would love to try Sundays. I think Sundays & Gateaux both sound awesome. I love green fragrances! Pretty Bird! I love the idea of the masculine-feminine mix! Would love to win Pretty Bird since I love all things rosy and wearing my husbands sweaters! Would love the opportunity to use the Sunday scent as jasmine has always reminded me of my late grandmother. It’s so hard to find a good, pure jasmine scent but this one seems amazing!! This is INCREDIBLE! So happy you see Susannah is doing this. Natural fragrances are definitely something missing in the green beauty community, so this is a fabulous launch! Win or lose I will need to get my hands on some! It’s so hard to choose a scent without smelling them first, but I think Sundays would be great! Thanks so much for the chance! All three scent sound yummy, but I would love to win Pretty Bird, with the bergamot and earthy rose like a cashmere sweater. Beautiful description! I think Pretty Bird would be a perfect scent for me. What a great and generous giveaway! too hard to choose… I actually changed my mind. I would love to try Sunday if I were to win! I’d love to win Pretty Bird because, well, the notes just sound beautiful. Rose, citrus, and spice sounds match-made. I’m pretty sensitive to most perfumes, and Pretty Bird is the only one I’ve found, even natural perfume world, that does not contain migraine-triggering florals. So hard to choose a favorite among these, but I think I’d love Sundays the best since I love Jasmine. The packaging on these is so gorgeous too. I’d really like to try Sundays! It sounds like it would be a really lovely scent going into the winter. I think I’d like to win Gâteaux ! These look absolutely beautiful! I can’t decide between the scents, but Sunday sounds gorgeous. Love the ingredients list too! Haven’t switched over yet to natural perfume so thank you for this give away! Pretty Bird and Gateaux sounds like my kind of fragrance! I love bergamot and cirus. So nice to have such a different range of green scents available now. They all sound lovely, love how you describe them. I’m a big fan of mint and citrus, and who can resist key words like wild & unruly? Let them eat cake, gateaux is my choice. They all sound lovely, love how you describe them. I’m a big fan of mint and citrus, and who can resist key words like wild & unruly? Let them eat cake, gateaux would be my choice. What a thoughtful and complex line- I love them all but Gateaux is my favorite! If you have not tried these beauties yet, please do-they are wonderful! It’s hard to say, but I love jasmine so probably Sundays. The Sundays scent sounds very good. I am so excited by this new line as I have been craving more floral natural perfume, instead of the sweet vanilla tones I have already tried. They all sound lovely, but I think I would most likely try Gateaux!